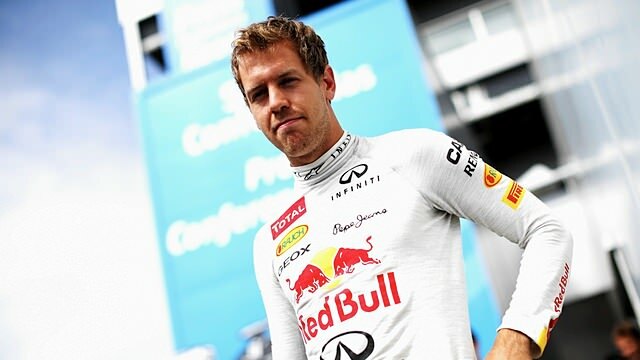 This is F1Minute - Sebastian Vettel secures pole position for the European Grand Prix. Sebastian Vettel picked up his third pole position of the year in Valencia, in what turned out to be a mixed up session. Timo Glock continues to battle a stomach bug, and was unfit to participate in qualifying. Mark Webber was struggling with hydraulics on his car and dropped out in the first session, along with Jean-Éric Vergne. That allowed Heikki Kovalainen through to the second session, where he qualified ahead of Daniel Ricciardo, meaning the Caterham outqualifed both Toro Rosso drivers. Ferrari had a difficult day with Fernando Alonso only fast enough for 11th and Felipe Massa 13th, but Michael Schumacher also found conditions difficult and ended up sandwiched between the two. Into the top ten shootout, no one could stop Vettel taking pole position, but the remaining nine were incredibly close. Lewis Hamilton lines up beside Vettel on the front row with Pastor Maldonado and Romain Grosjean behind. Jenson Button starts from ninth place, Kimi Räikkönen up in fifth.